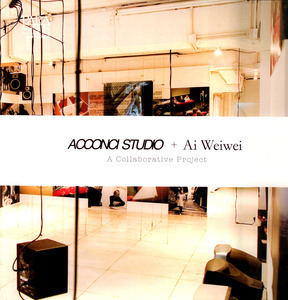 This catalogue accompanies the collaborative project by Acconci Studio and Ai Weiwei, presented at Para/Site Art Space from May to July 2010. The exhibition is a result of ongoing discussion between Ai Weiwei, Vito Acconci and their studios, including among other elements a 12-channel sound installation designed by Acconci Studio, 128 photographs selected or shot by Ai Weiwei, as well as architectural models and texts. With interviews and documentary photos of the event.